Filed in June of last year, Google’s facial recognition software could be configured to allow users to make a predefined facial gesture to unlock the device. One way it could work would be where the device asks for a different gesture each time, it could be a wink, moving the eyebrows or “tongue protrusion” (why don’t they just call it “sticking out your tongue?”). Facial recognition is not new, Google introduced it as a feature with the new version of Android when the Samsung Galaxy Nexus made its debut. In short order, it was found that a picture could defeat the recognition software though. Google’s fix to introduce a “liveness check” where the user was required to blink before it would read the face was also shown to be easily duped using only rudimentary skills. The new patent is still pending, but the idea behind moving face gestures is that they are arguably more difficult to duplicate. We can see that position, but hopefully it would not be restricted to only minor facial expressions. The more whacky the face, the harder to duplicate, right? Samsung fan unlock their phone by farting on the screen. 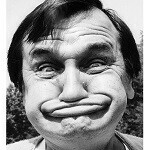 That's why all Samsung fans have a funny face like this? they're just trying to unlock their phone? And what happens if someone has already been born with a funny face ? Your mother set it to vibrate? I always knew you were kinda retarded, but not to that extent..
Yeah, I get that a lot, but my dad that he is currently the CEO of Samsung says it is inherited! If your dad was the ceo of samsung you wouldn't be on a tech site. You got me, you're very smart, you're probably a Samsung fan ! Apple's already moving in a different direction. They are going to the basic and use your fingerprint on the home key to unlock. Apple just took note of it. Time for a lawsuit. You slide your tongue out, so this infringes the slide to unlock patent. lol, good idea in terms of security but very impractical; i would never be able to unlock my phone in public lol. silly ideas like these is why i love google, coz i think theyre doing it just for fun as well. why not use the camera for retina scan, that would be awesome!!! You realize how accurate and advanced the phone's front facing camera would have to be in order to scan your retina? A lot more than they are today that's for sure. Pretty good idea, but it seems like one of those features which you just play around with at first and then forget about it after. Awesome, unique and yet very funny. what to do if i am in a cremation ceremony and my phone asks me to smile...! what if you weren't doing a silly face and your phone unlocked just because you were weird looking?